Main › LifeLeap Café › Free Psychic Questions › PLEASE PLEASE HELP ME! I REALLY COULD USE SOME ANSWERS! 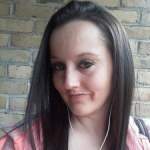 My name is Tabitha I am 30 years old very new to this site! I am from Edgemere Maryland on the east coast. I ran across this webpage for a free psychic reading and that other people need guidance and practice with there Psychic abilitys and.could help me with what I am going through. I was wondering if there was a chance if any of the readers could PLEASE tell me a little about my future and what does my future have in store for me? Also my Grandmother died almost 2 years ago and I was wanting to know if there was a way for someone to PLEASE help me with letting me know whether my Grandmothers spirit is watching over me or someone else is in my house because I have caught a few EVPS and orbs in my residence and would like to know who or what is in my house and if the spirit has a name could you please provide me with this? In this email I will provide a picture of my grandmother and a picture of what it looks to me like a spirit over top of my head with its arms, fingers and has a head in the front of the apartment while I was sitting on the steps i felt a presence and just happened to decide to take a picture of myself and look really hard at what i caught right above the top of my head. Thank you again for all your help and taking the time to read and listen to me. I have gone to several people with no help and no responses back. So I really do appreciate this from the bottom of my heart with your replys and with able to use your abilitys to help other people! It truly is a WONDERFUL gift from GOD!! and Thank You again! Hi! I can tell straight away that it was your grandma that made you feel compelled to take a photo. She wants you to know that she in spirit is well, (she really wants you to know that!!) and she often watches over you. But remember that we are here to focus on our lives. Your nana loves you but she wants to to carry on. I feel like your grandma had some problems with her eyes at some point – am I right? Also, a she wants to say something about hands (let me know if I’m right, but she was drawing attention to that!) Her presence is very strong and she just really wants you to know that she’s proud of you and loves you.